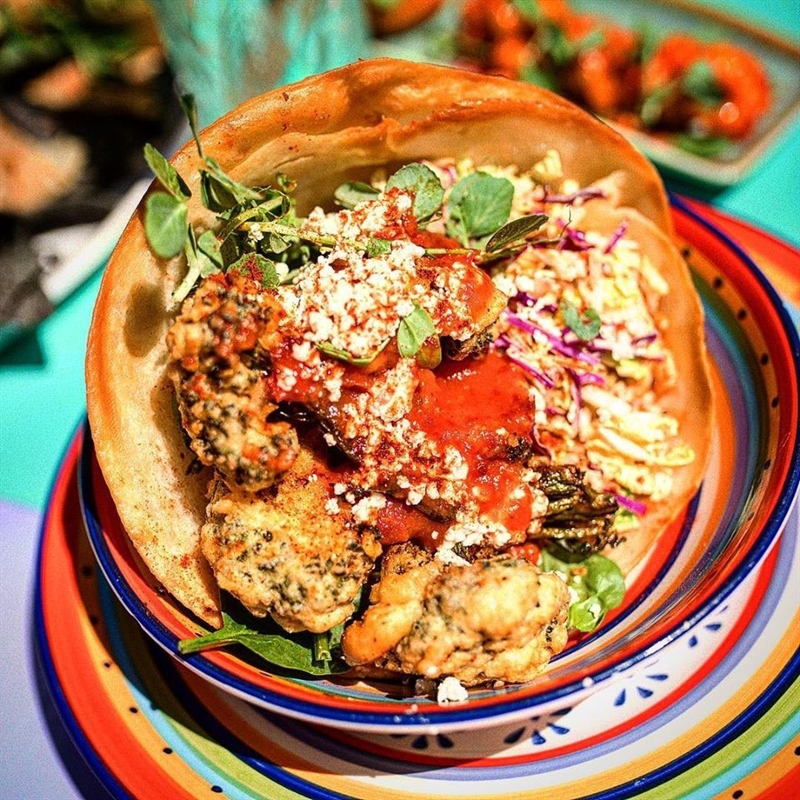 Pulled pork tacos, with blackened pineapple and jalapeno salsa, ranch slaw and housemade rainbow corn tortillas. 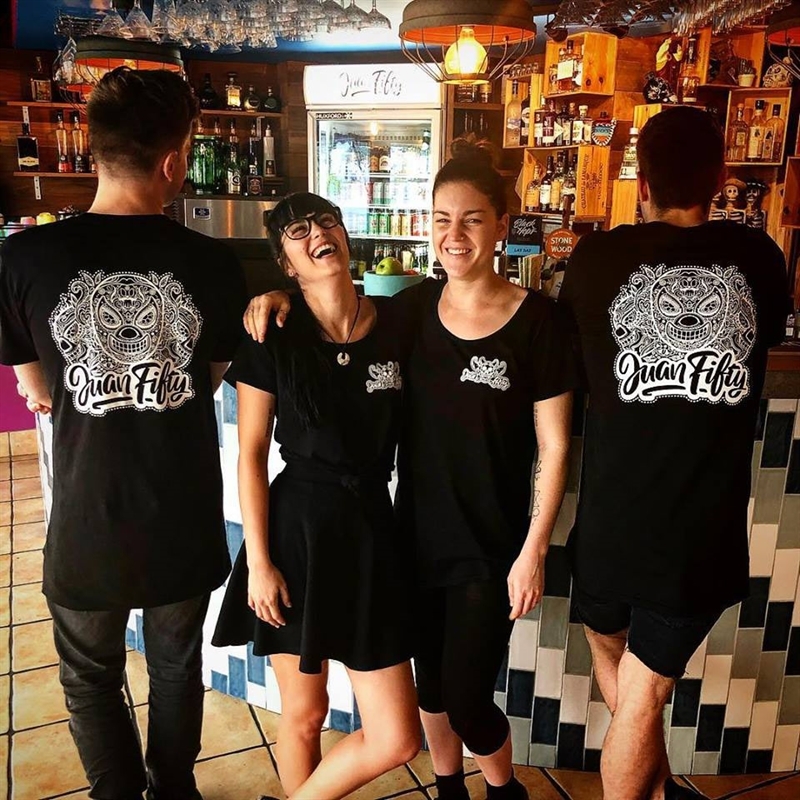 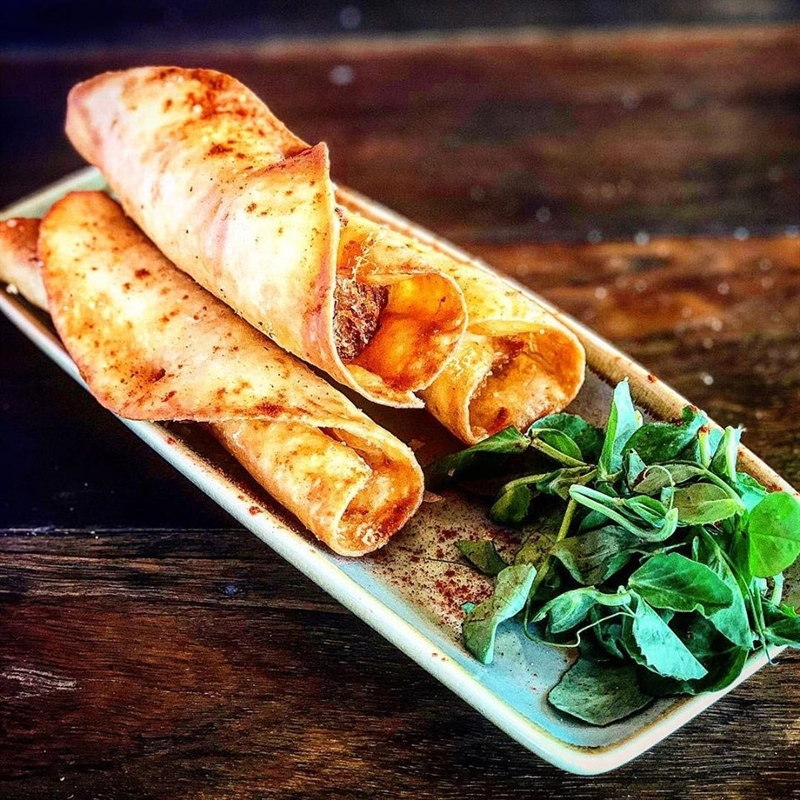 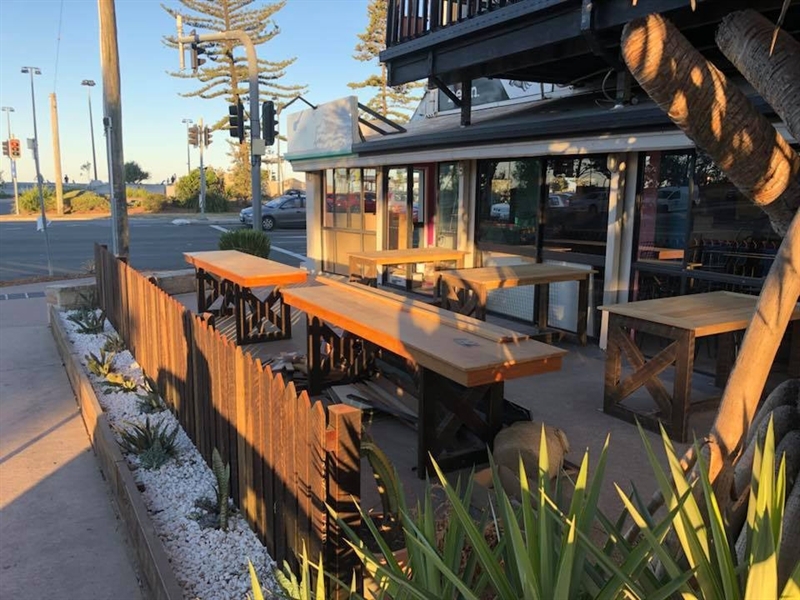 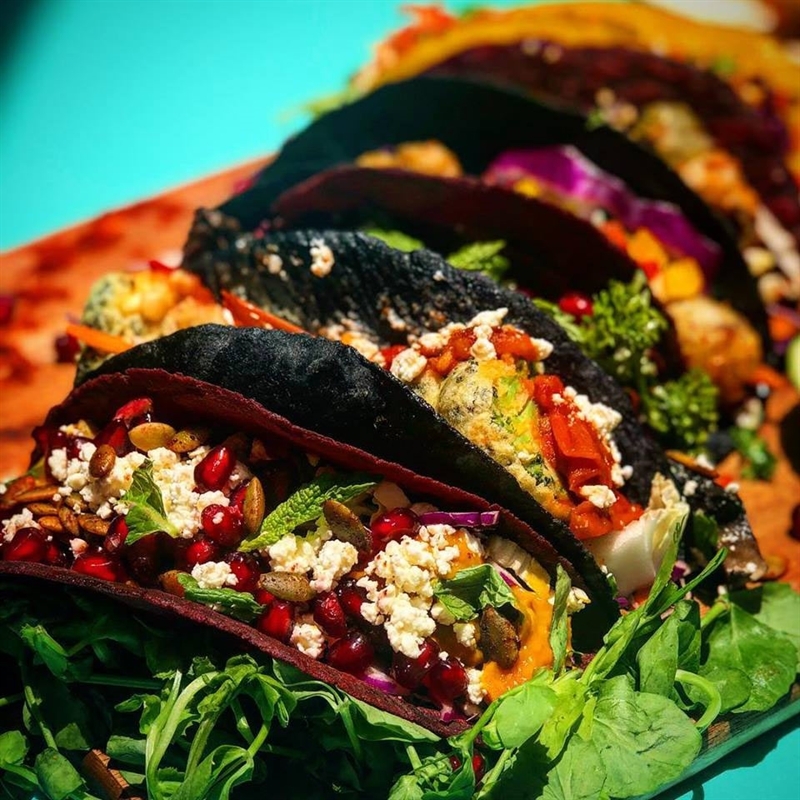 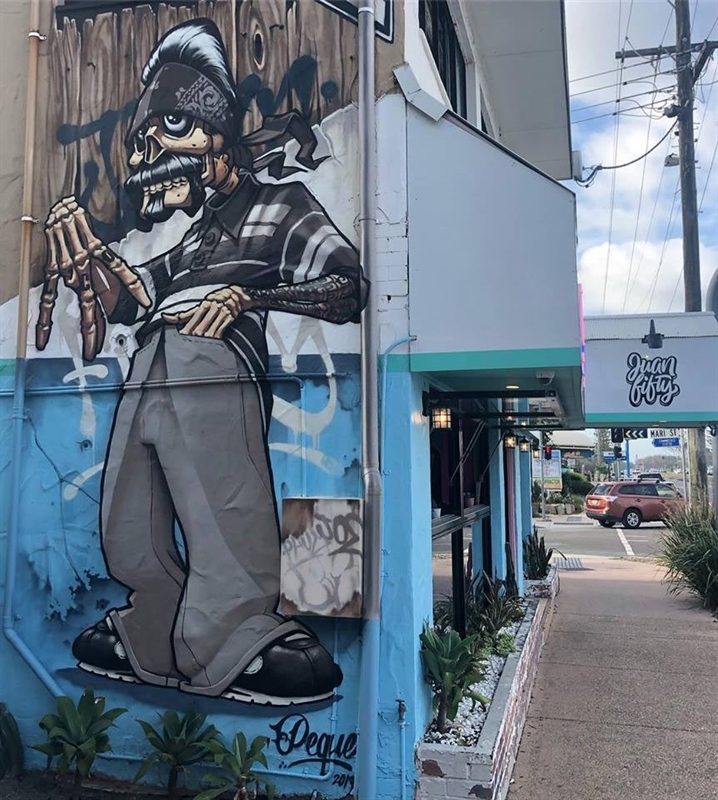 Grab your sombrero and mosey on in to Juan Fifty Kitchen and Bar on Alexandra Parade in Alexandra Headland to say arriba to tacos and tequila. 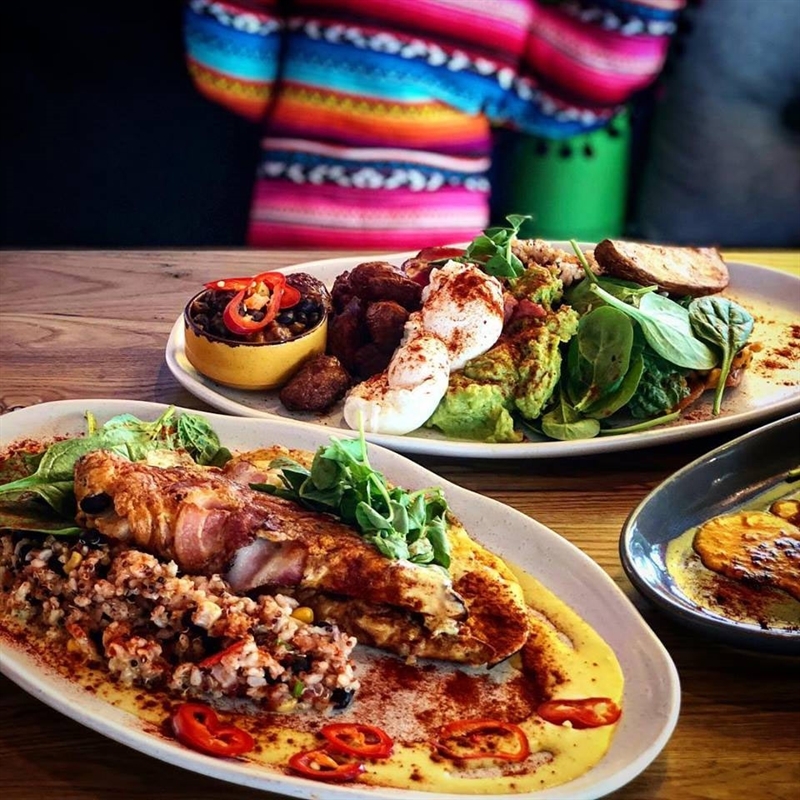 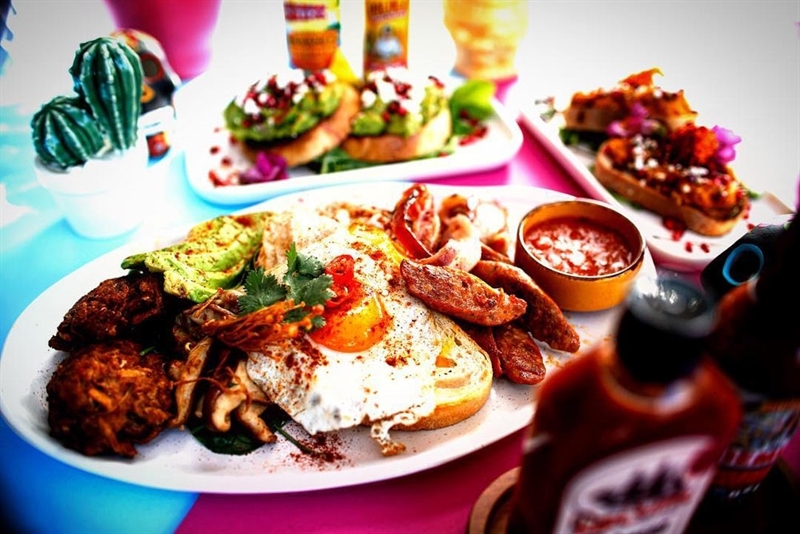 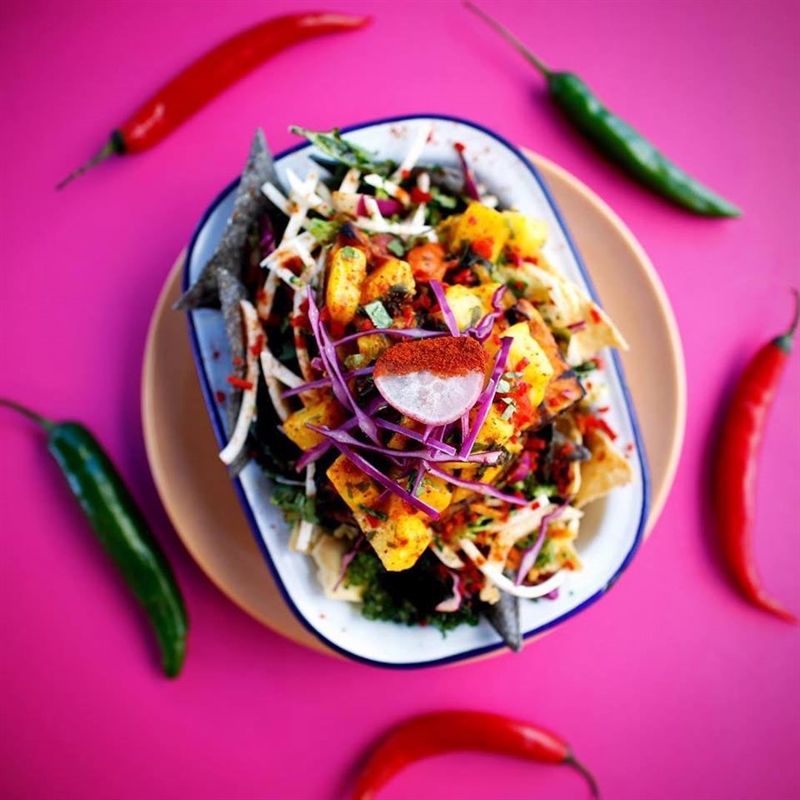 This fun and funky Mexican cantina is all about vibrant colours – both on the plate and the walls – where splashes of green, yellow, pink and blue blend with tiled floors and shelves groaning with hot sauces and spirits. 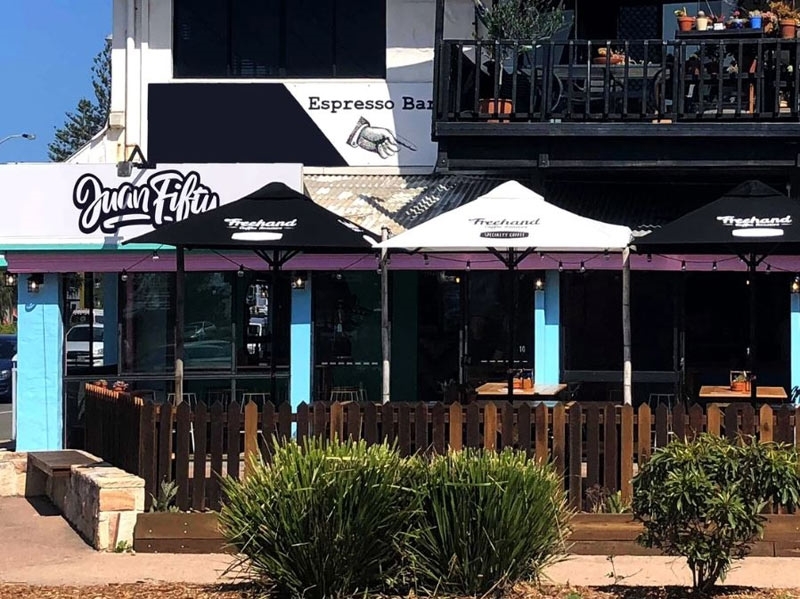 Sit alfresco and soak up the sun, or dine indoors while delving into breaky classics like huevos rancheros – fried eggs, toasted housemade tortilla, salsa, Juan's bean stew, feta and chorizo. 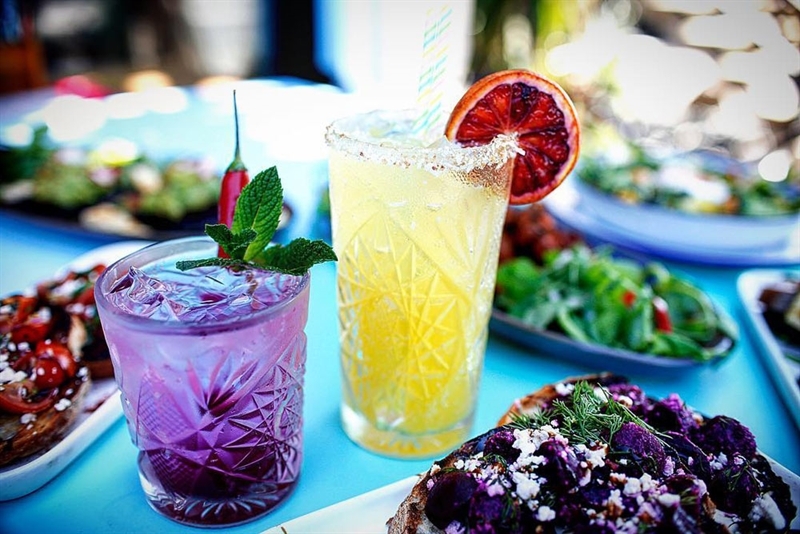 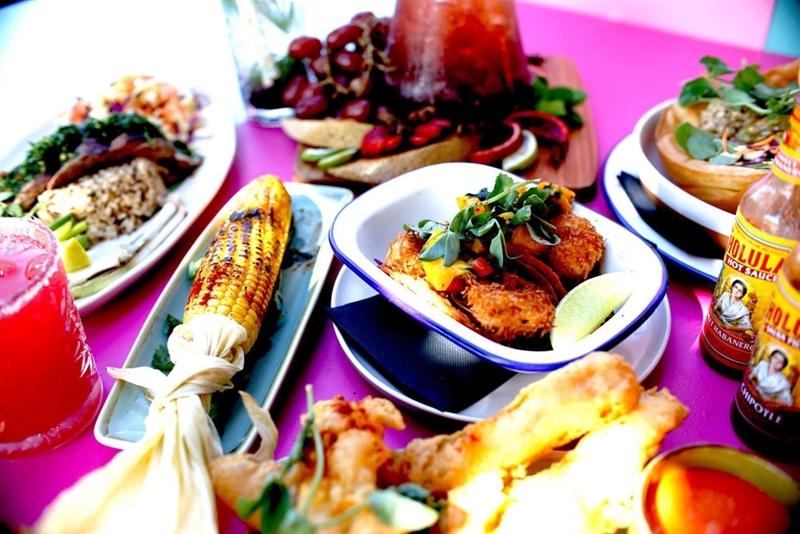 Those dropping by later can grab a basil and beetroot margarita and snack on corn on the cob, jalapeno butter, Montego cheese and paprika; before mains such as a shredded beef burrito bowl, buffalo chicken nachos or grilled baby octopus tacos.